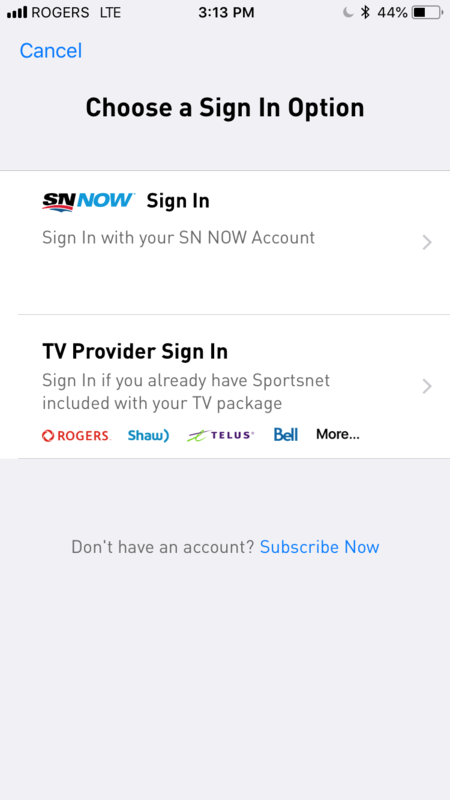 For existing Sportsnet TV subscribers: enter your credentials on the right-hand side, after finding your service provider and clicking on it. The login will be the same one used to view your online monthly bill through your provider’s website. 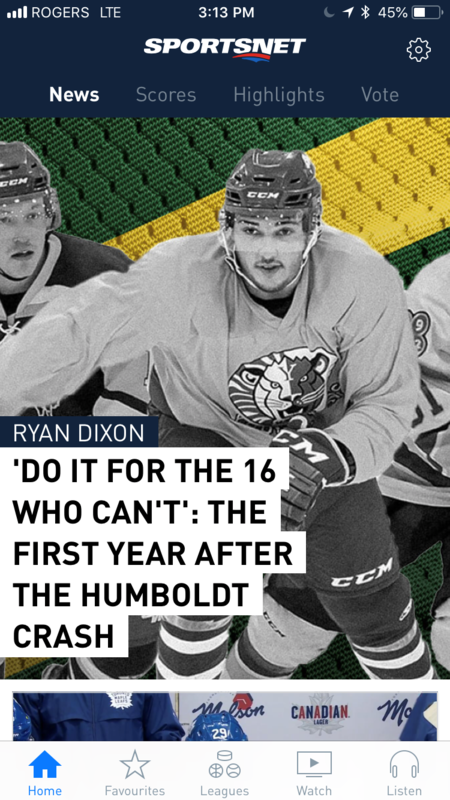 For Sportsnet NOW online customers: enter your credentials on the left-hand side only, under the SN NOW section. You must enter the user name and password you used during the sign-up process. 4. After you click Sign In, the content should automatically begin playing. Click on the channel or game you wish to watch and proceed to the content. Upon opening the app on your iPhone or iPad, you should be faced with the following screen pictured in #2. 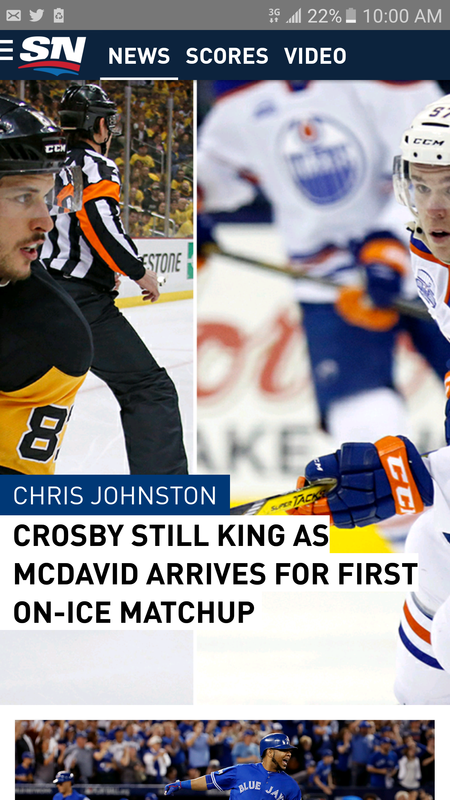 If you do not have the Sportsnet app on your phone or tablet, or do not see the Watch tab, please make sure to download the latest version of the Sportsnet app from iTunes. 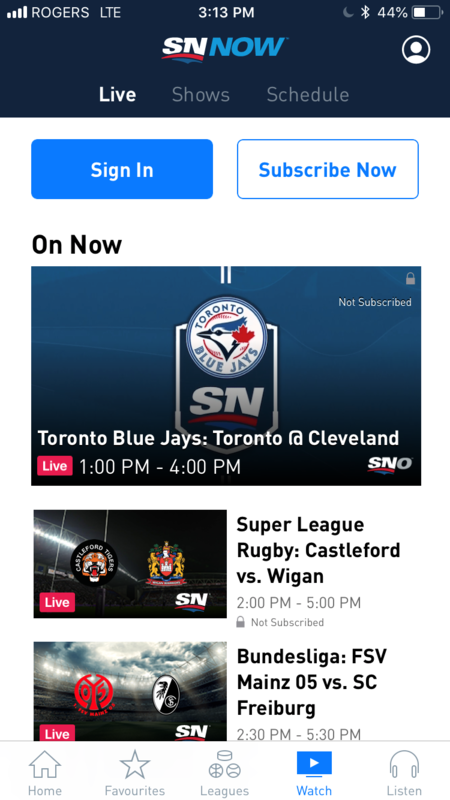 For existing Sportsnet TV subscribers: For customers attempting to logon with your TV provider credentials please logon by selecting your provider’s logo. The login will be the same one used to view your online monthly bill through your provider’s website. 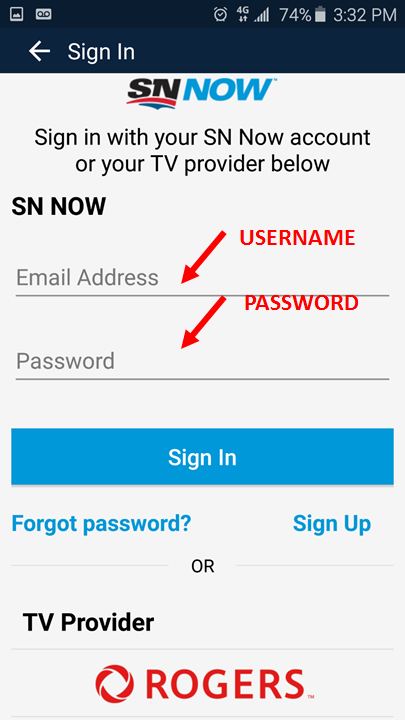 For Sportsnet NOW online customers: For Sportsnet NOW online customers please enter our credentials in the SN NOW Sign In section. Please enter the user name and password you used during the sign-up process. 5. Tap any channel to begin playback. Upon opening the app, you should be faced with the following screen. 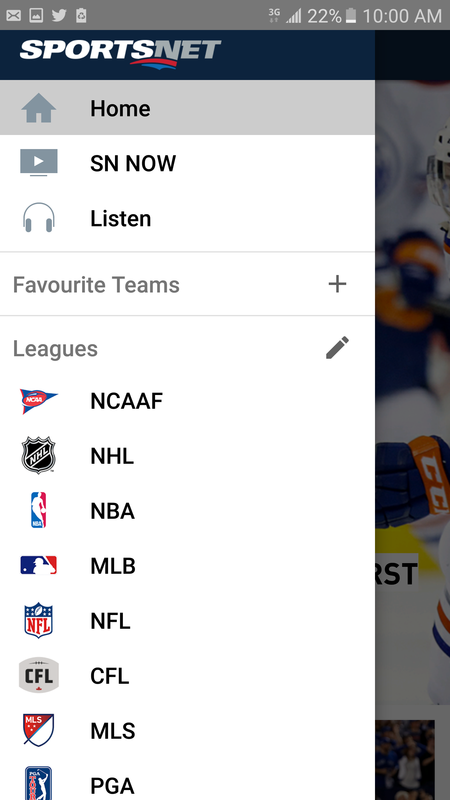 If you do not have the Sportsnet app on your phone, please make sure to download the latest version of the Sportsnet app from Google Play. 6. Tap any channel to begin playback.